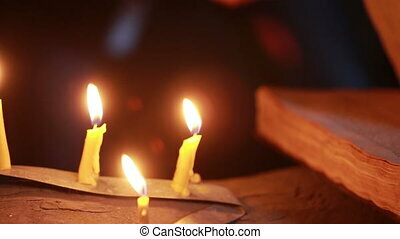 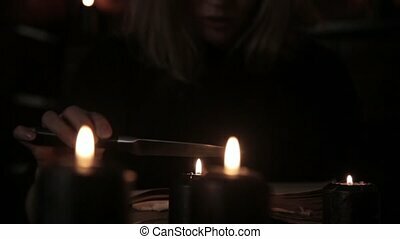 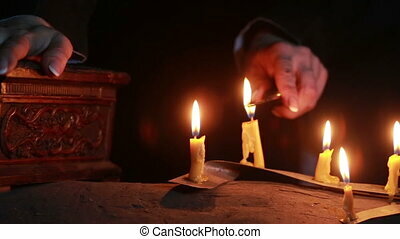 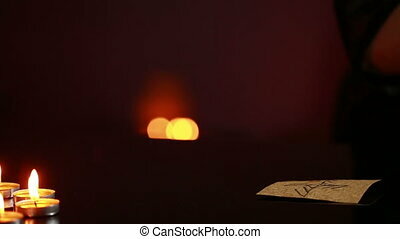 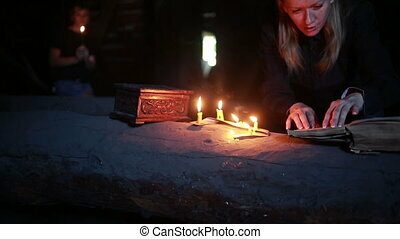 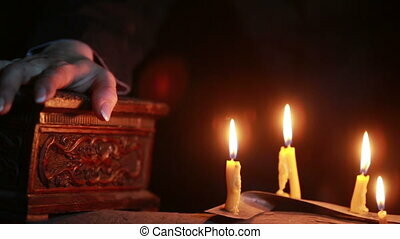 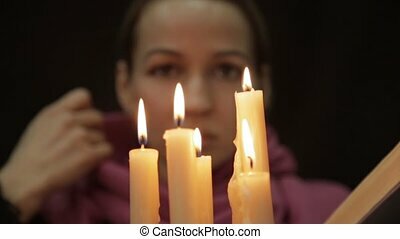 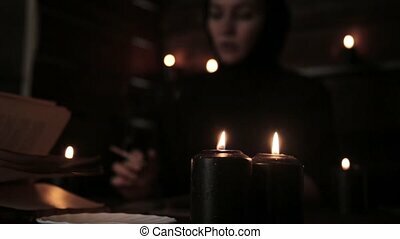 Divination, witch holding the magic ritual, view on magic candles. 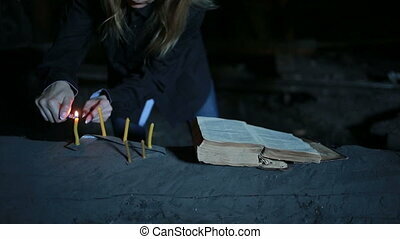 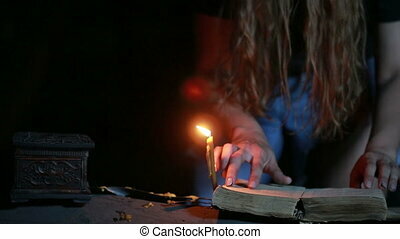 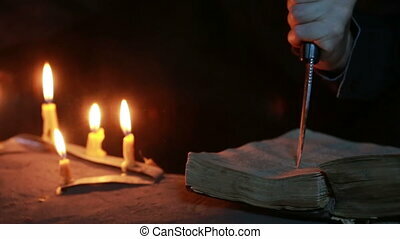 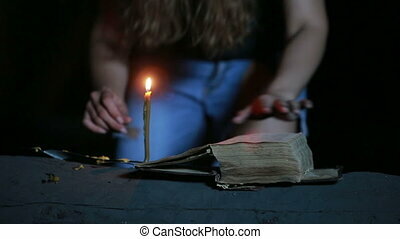 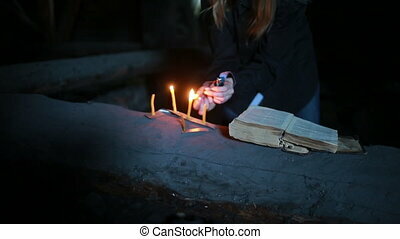 Charlatan witch reading book of black magic, view on burning candle. 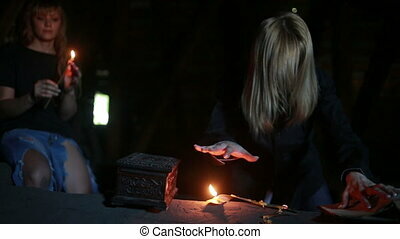 magic ritual. 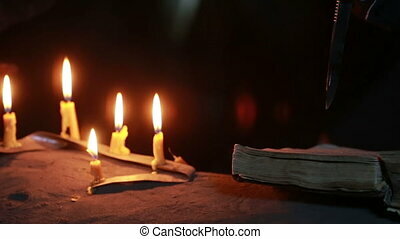 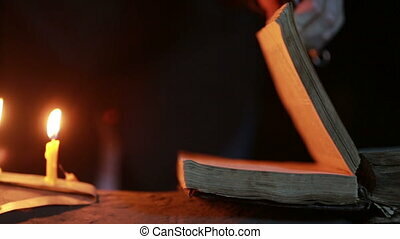 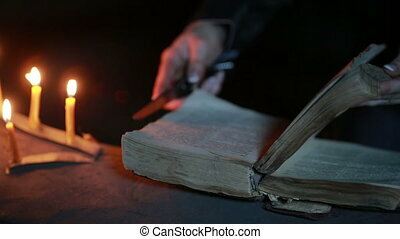 old book and candle. 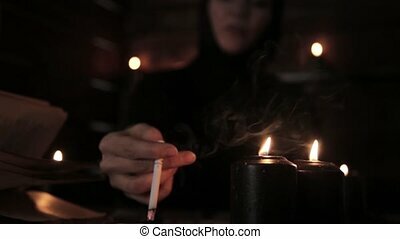 mystical beautiful female fortune teller, smoking a cigarette and laying out cards with black candlelight.